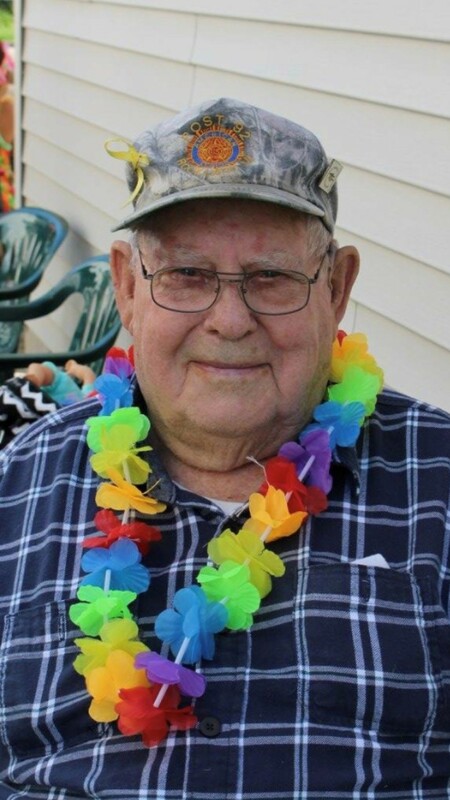 Raymond I. Vincent, age 92, of Gladstone passed away on Monday, November 12, 2018 at the Christian Park Center in Escanaba. Ray was born November 22, 1925 in Daggett, Michigan, the son of Isadore and Mary (Wagner) Vincent. He was united in marriage to Joyce Patient on June 30, 1948 in Northland, Michigan. He was a member of All Saints Catholic Church and worked as a mechanic for Town and Country Motors for many years. Ray enjoyed hunting, participating in several successful hunts with the Wheeling Sportsman, working in the woods, was a logger for several years and was an avid cribbage player who loved nothing more than “skunking” his opponents. Ray is survived by his wife Joyce, sons, Randy (Peggy) of Soo Hill, Dale (Brenda) of Gwinn, Mark of Gladstone and Rodney of Sault Ste. Marie; his daughter, Roleane (Jim) Daniels of Greenland, MI; 13 grandchildren, 18 great grandchildren, 2 great-great grandchildren and numerous nieces and nephews. He was preceded in death by his son, Gary, his parents, and four brothers, Richard, Robert, Ronald and Keith. The family will receive friends on Wednesday, November 28 from 10:00 AM to 11:30 AM at the Skradski Funeral Home in Gladstone. Mass of Christian Burial will be at 12:00 PM at All Saints Catholic Church with Fr. Jamie Zimiski officiating. A luncheon will follow int the parish hall. This is my grandfather. He will be greatly missed..
I’ve known Uncle Ray for 36 years, ever since I married his nephew, Bernie. To know Ray is to love him. He was such a happy “yooper” and I always enjoyed hearing him talk about the old days and old ways. He had a very good memory and kind wit about him. He will be missed by many. Though my family and I have only known Ray and Joyce over the past 18 mos or so, I will miss his smile and gentle way. He always looked out for my Mom, who was a fellow resident, and gave us his “report on Ma” when we were next to visit her. I only wish I had know him longer. You have my deepest sympathies. I will miss him dearly, Rest in Peace Hammer, We all love you!!! treasure them,Dad and Hammer always took care of anyone that needed to have a car/truck fixed… Hammer’s garage was always open, so a 12 pack of beer the job got done. be a great HUNTING CAMP up yonder. Ray and Joyce lived in the park with my GRandparents. Ray was so much fun to be around..always joking !!!! RIP my friend….you will be missed!!! He was my dad we did so much together I will miss him every day !!!!!! Ray and joyce were neighbors next to my sister who also got her wings recently. The man was always smiling and ready to chat , past or present stories were always interesting and I never tired of our conversations! I always wished he was my grampa, he was just that kind of man. His family can be proud to call him dad/ grampa.